At 9:20 pm, October 18, William Neil Strong passed away in his sleep. It is what he wanted, what he wished for. Wishes do come true. He was surrounded by love. His wife of 50 years, Trudy and his son David and five dogs, were at his bedside. He was 75. Many of his friends and family have been visiting since his return from the hospital including his younger son Steven who flew in from LA. He mentioned how he enjoyed all the good words and prayers. 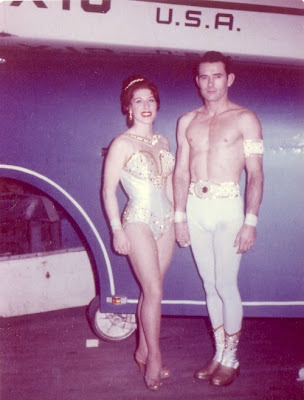 He will be missed by many and was a great force in the Circus community. The fasinating history that he shared with us all, performer and gaujo alike, will stay with us forever. This blog was a passion for Bill and he was checking it as recently as Saturday. "Buckles, will have to pick up the slack", said Bill. The 24 hour man sets the route to the next lot. Please follow the arrows Bill. You will find your way home. You will be missed.